In this first post, we will focus on the Persona identified as ‘Culturally Curious’. This can be someone specific, for instance a student studying Arts History in the EU, but it can also be someone who is interested in culture & arts around Kent. What are their behaviours and motivations? • Find cheap events- student budgets don’t stretch far! 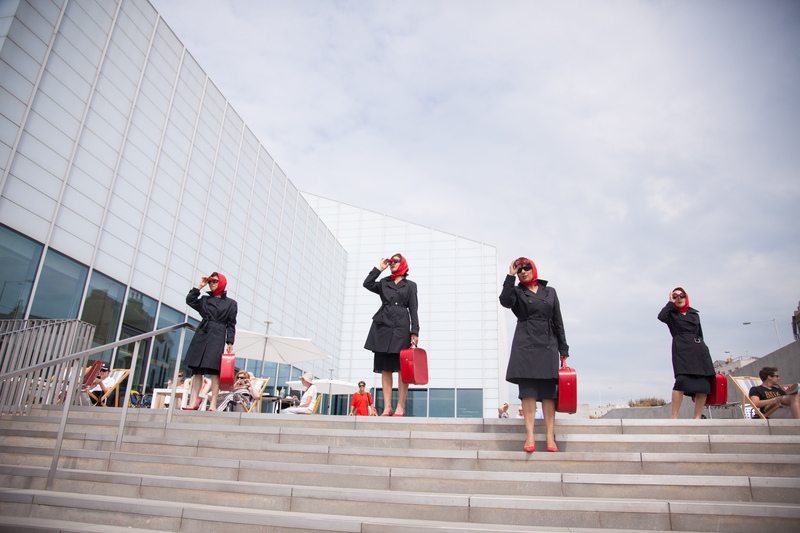 Why dedicate an entire project on arts & cultural events in Kent, as Culture Kent does? It seems that Kent is already known as the ‘Garden of England‘, as Visit Kent highlights on its website header, and a place with important historical connections going back thousands of years. Yet, it offers more than just beautiful gardens and World Heritage sites such as Canterbury Cathedral, St Augustine’s Abbey, and St Martin’s Church. Kent refers to an area in southeastern England that comprises 13 districts: Sevenoaks, Dartford, Gravesham, Tonbridge & Malling, Medway, Maidstone, Tunbridge Wells, Swale, Ashford, Canterbury, Shepway, Thanet, and Dover. Within these districts are truly unique places that support the arts & culture that may not be as well-known to people in other countries or even counties in England. Thanks to research by Visit Kent and Visit Britain, we can identify some key factors in tourists’ motivations, behaviours, and perceptions of Kent. What can we learn from these statistics? Of these millions of tourists, a majority of them still equate Kent with cultural heritage. 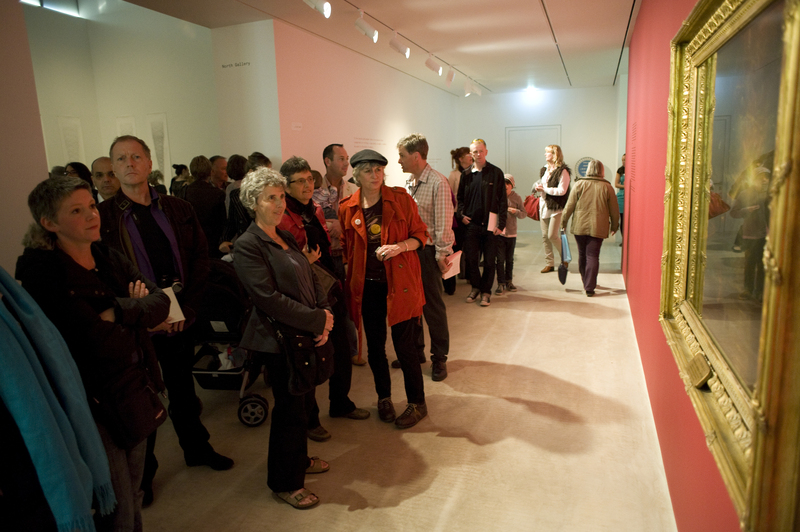 However, the perception of Kent as an arts & cultural destination is continuing to grow. 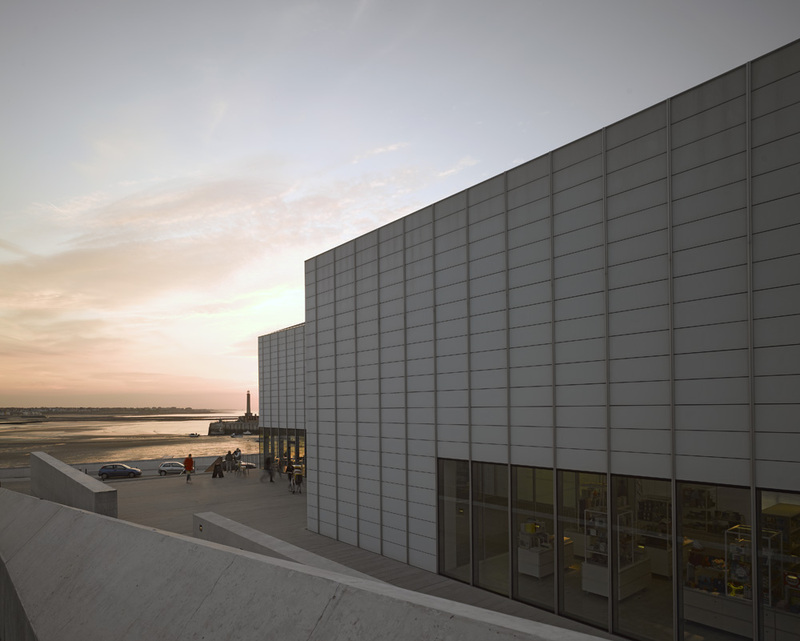 After Visit Kent and Turner Contemporary conducted a marketing campaign aimed to increase awareness of culture in Kent, awareness grew from 4% to 10% – the biggest increase for any one area. 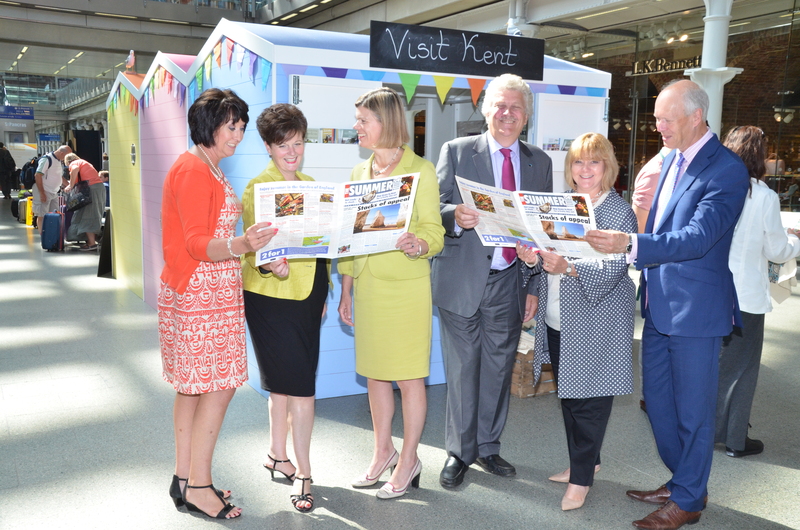 We need to continue audiences awareness of Kent as a place to visit for arts & culture. In upcoming posts, we’ll spotlight organisations and events that are unique to Kent. Previously, we discussed how open data related to accessibility has many benefits for tourism. In this post, we highlight how collaborative efforts related to tourism can be mutually beneficial, referring to tourism research conducted by the European Commission. Due to the EU encompassing many countries, they can collaborate with other countries whose citizens frequently travel to Europe. For instance, their 50,000 Tourists initiative enabled tourists from South American countries like Argentina, Brazil, and Chile to travel to the EU by capitalising on ‘spare airline and hotel capacity during low season’. This also benefited EU nationals who wanted to visit Argentina, Brazil, and Chile. However, these tourists, whether they were visiting South American or the EU, had to have specific reasons for travelling, such as ‘family ties, educational or cultural links, or an interest in gastronomic or religious tourism’. Operating on a smaller scale in Kent, this type of initiative can also be successful since there are trains and buses that take tourists around Kent, and there are also many hotels and B&B’s that may have spare rooms during low season. If organisers of events and owners of hotels and transportation in Kent can come to an agreement similar to the EU’s 50,000 Tourists initiative, tourists can take advantage of low costs and travel more often. But again, there is all this useful information that not many people are privy to! While an open data source for Kent events is the goal, additional information can truly help users not only become aware of the types of events being held in Kent, but also logistical information such as how these events cater to all types of people, including those that need extra accessibility, and how to get to the events and where to stay. As this posts suggests, the benefits of creating an open data source are endless and can positively affect not only tourists, but organisations in the whole of Kent as well. We just need to collaborate with each other to make the most of what each has to offer to tourists. The process for travelling starts when a tourist is still at home, from packing a suitcase with all the necessary equipment, getting themselves and their baggage to the airport or stations, arriving to their destination, and getting to their accommodation. From there, they need to think about how to get to an event or venue. Therefore, important information should also be made available on websites concerning the venues or grounds where events are being held to assist with the travelling process. Including information such as wheelchair accessibility, distance from car parks, food & water availability, and number of restrooms, along with event times, locations, and dates, to open source event data should be essential if we are to make events accessible in every sense of the word. These factors can make planning a lot easier for tourists. Many tourists are older people who have retired and have plenty of leisurely time. This presents a large and important sector of tourists, especially as the population is aging. They have essential, every day requirements that they must consider even when they travel. Knowing where they can access water, especially for free, how far the car park lot is, or if a location is wheelchair accessible, might be deciding factors in whether or not they will attend an event. Everyone wants to feel included, and there is no reason for not ensuring that every person’s needs are being considered as important, especially since this type of information can easily be included in an open data source. If organisations or event planners take the time to evaluate a venue or grounds for accessibility, it can translate into hundreds of potential visitors to an event – well-worth the effort! Additionally, this work usually only has to be done once if an event takes place at the same location every year. Since the data is open, it can also be reused by other organisations if they hold events are the same location. These are only just a few possibilities for utilising open data related to accessibility information. In the next post, we will be discussing how open data can be used for tourism collaboration. 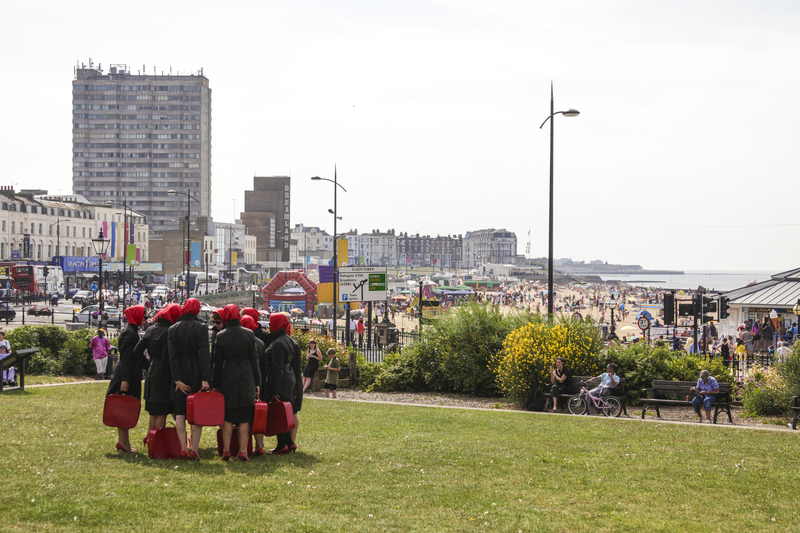 As Culture Kent strives to provide an open method of making arts & cultural event data available online to increase Kent’s tourism profile, other European countries similarly understand the importance of tourism. Many countries and cities, however, already have well-known reputations as a travel destination; therefore, their findings focus on how to maintain their reputations as a leader in global tourism. Comparing whole countries and major cities to Kent, a small county in England, is widely different, as a country can use their diverse areas to attract new visitors, and touring companies include stops at major cities on many of their itineraries. Additionally, the collaboration of several countries further helps to draw audiences who are willing to travel far to experience several cultures and countries’ histories. The European Commission has already developed several projects to increase the EU’s cultural tourism by overlapping similar touring themes hosted by different countries. The types of audiences who might book these tours are already familiar with what these countries have to offer and are looking for tourist attractions that fit their specific interests. For example, tours might include wine tours that focus on visiting different vineyards or following historical trails such as the Holy Grail or Roman footsteps. But what about those tourists who what to visit the road less travelled, so to speak? In these cases, visitors want to experience places that are just as culturally meaningful, but maybe they don’t know where to start their search. Travel agents usually highlight popular travel destinations and it can be tough to search online without knowing what to look for. Additionally, it is also easy to find major cultural events, both in person and online. Similar to how major cities having high travel destination rankings, popular artists, musicians, theatres, and shows also can have prominence as must-see events. Yet there exists less high-profile arts & cultural events held by various organisations that can also resonate with audiences, but are more difficult to access by tourists or anyone who just is not sure where to look. This is where Culture Kent’s research can help. It is clear that audience interest is not the issue, it is the dissemination and accessibility of information that needs to be improved. The nature of the Internet means that any potential event is open to a global audience; if all event data is streamlined into one accessible website, it enables users to easily find events that match their interests. Organisations big and small can have access to the same global audience.